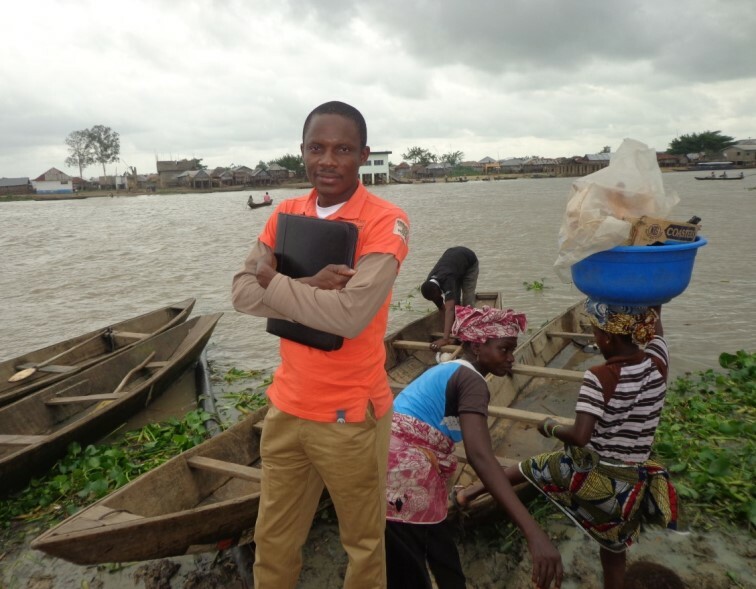 A recent study by Gérard Zoundji and colleagues in Benin, West Africa, has shed light on a promising way to get training videos to farmers through local shops. 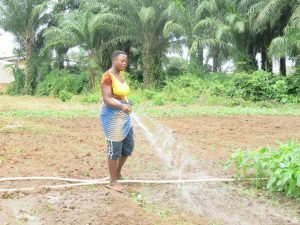 Zoundji worked in four vegetable-producing regions of southern Benin, where farmers were so worried about pests that they sprayed pesticides even before the bugs appeared. Convincing such apprehensive farmers to hold the pesticides would take some serious persuasion. Zoundji took nine videos on vegetable production from the Access Agriculture video platform (www.accessagriculture.org), including how to reduce pesticide use, and put five language versions (English, French, Fon, Yoruba and Bambara) on one DVD. Zoundji had the brilliant idea of reaching the farmers through local shops, in an attempt to overcome the limited distribution available through the extension service. In 2015 he convinced 13 owners of small shops (mostly farm supply stores and movie DVD vendors) to stock copies of his DVD, titled Improving Vegetable Production. From August to December, the shopkeepers sold the DVDs to customers for up to $4. Starting in June, 2016, Zoundji tracked down 120 vegetable farmers who had bought the DVD, received it as a gift from friends or family, or watched it with their neighbors. He visited the farmers’ fields to learn more about what had happened after watching the videos. Most of the video-watching farmers were young, with an average age of 28. Youth are drawn to vegetable production, which can be profitable on a small piece of land, and to videos, complete with music and a compelling narration. A third of the farmers were women. Almost half had no formal schooling, but the videos require no reading. Zoundji found that only a third of his farmers regularly received extension visits, while twice as many got information from agro-dealers. All the farmers shared information through their own informal networks. Zoundji’s collaborating shopkeepers sold 669 DVDs. I was surprised that only 58% of the DVDs went to farmers. Government officials, students, their parents and extension workers bought the rest. Such folks often grow their own gardens, or they have links to vegetable-growers. Before the video training, I used to manage nematodes, pests and other diseases by using any agrochemicals I could get hold of. I just needed to see insects and pests in the field to unleash a treatment. But after watching the video, I realized how wasteful and harmful I have been. To grow tomatoes on a 400 square meter plot, I often used for example 1 kg or 1.5 kg of fungicide, one to two litres of insecticide, 2 kg of nematicide and about 30 kg of NPK (fertilizer), but since September 2015 I started applying the knowledge from the videos. I’m progressively reducing the chemicals … and the tomato yield is still the same as before videos, but now they keep longer than before (I watched the) videos. This is the third time I’ve harvested. Some farmers reported that although they had heard about alternatives to pesticides from extension agents they remained unconvinced until they saw the videos. The videos show farmers from Benin and other countries using the recommended alternatives, making a novel idea seem much more practical. A farmer on a video can be more convincing than a conversation in real life. “Videos stimulate learning and facilitate more experimentation for change than face-to-face extension carried out by an extension worker,” Zoundji writes. It wasn’t only crop protection practices that were improved. Crop rotation, compost, and nets to keep insects out of vegetables were widely adopted as alternatives to agrochemicals. There were further changes that took place in the shop owners selling the DVDs. One third of the agrodealers began to stock the equipment for setting up drip irrigation. This was astounding, an unexpected consequence of Zoundji’s original idea. Changing business practices matters because in previous experiences with drip irrigation, farmers have been dependent on projects to buy the necessary equipment. (See Paul’s earlier story, To drip or not to drip). Now, after watching the videos, farmers were investing in drip irrigation equipment and asking agrodealers to stock items they needed, such as hoses, nozzles and tanks. Other farmers were making their own kits. Family farmers are used to shopping at family-owned businesses. It may not be necessary to have a project just to share information with farmers. Small shops may be just the place to sell videos with useful ideas that farmers can use. Zoundji, Gérard C., Florent Okry, Simplice D. Vodouhê & Jeffery W. Bentley 2018 “Towards Sustainable Vegetable Growing with Farmer Learning Videos in Benin.” International Journal of Agricultural Sustainability. Read it here. Photos are by G. Zoundji.